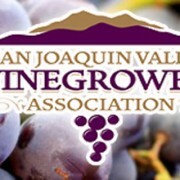 KINGSBURG – The judges have spoken and the results are in – 94 wines have merited awards at the 2013 San Joaquin Valley Wine Competition Held April 4 at Ramos-Torres Winery in Kingsburg. Wines for the competition came from every region of California. Chief Judge Glenn Grabiec, along with the team of judges, digested all the wines and were pleased with the overall quality of the entries. The Best of Class Wines (those that were unanimous Gold Medal recipients) highlighted varieties exceptionally well-suited to California’s super-Mediterranean climate. These are Silkwood Alicante Bouschet – Stanislaus County; Quady Elysium Black Muscat – 2010 California; Chateau Lasgoity Cabernet Sauvignon – 2010 Madera; Barefoot Cellars Merlot – California; Cardella Winery Moscato – 2011 California; South Coast Winery Tempranillo – 2012 Temecula Valley. Wineries entering the competition ranged from the very largest in the state to the very smallest, and every size in between. Prices ranged from $4 per bottle to $50 per bottle. Wines were tasted blindly, at cellar temperatures, to ensure optimum sensory evaluation. Judges were told what variety or type of wine they were tasting – otherwise they were instructed to analyze the wines based upon their taste, aroma, and general aesthetic.